"Your First Breath Took Ours Away" or "Your First Breath Took Mine Away" - beautiful words to capture that special moment. A gorgeous, individually crafted solid silver pebble pendant, personalised on the back with your choice of words. So tactile, so perfectly formed and so beautifully organic. Each one is individually handcrafted so no two will ever be the same, just like natural pebbles on the beach. 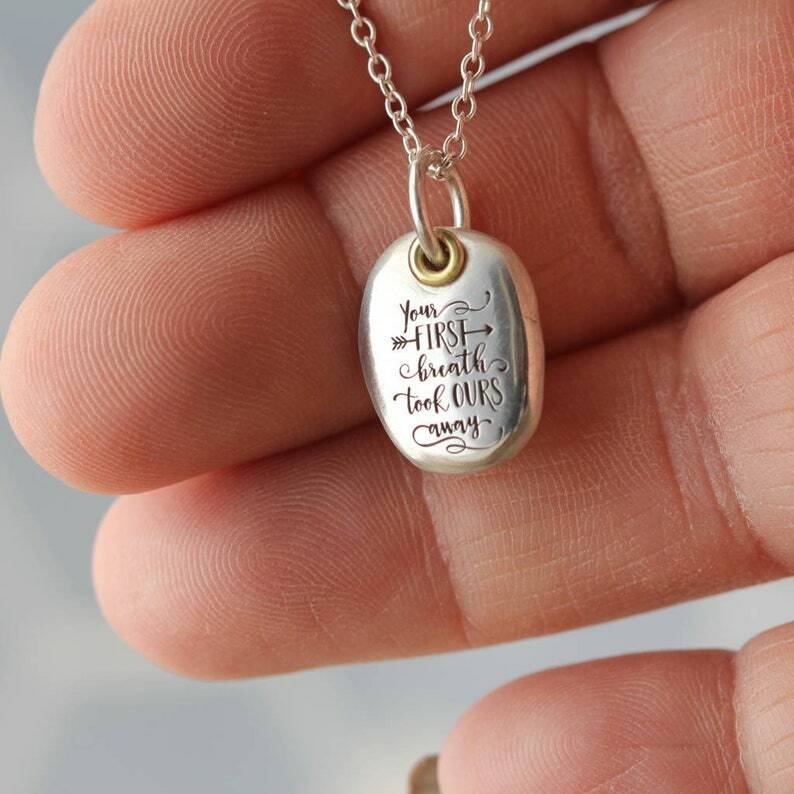 Suspended from a belcher chain your beautiful pebble can be deep engraved on the back with a child's name, or special message up to 12 letters ( including spaces). 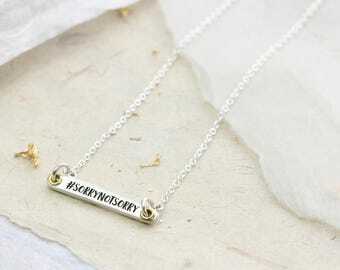 This necklace is the perfect gift for a loved one, mum, friend, sister, or even a special present to yourself. You can also choose any length belcher chain from 16" to 20". Sterling Silver 925 with a brass rivet. Handcrafted so sizes may vary slightly. The width is approx 15mm by 16mm, they are approx 2mm thick. The chain lengths - from 16” , 18" or 20"
Everything about this shop and their team is superb! I've already made two purchases with them, and had nothing but a positive experience. Communication is professional and timely, special requests approved and met with enthusiasm, and of course, the product - great quality and immeasurable sentimental value. They have unique and quality hand-made items that are sure to be cherished by anyone who is lucky to receive them. Thank you Morgan and French - you rock!